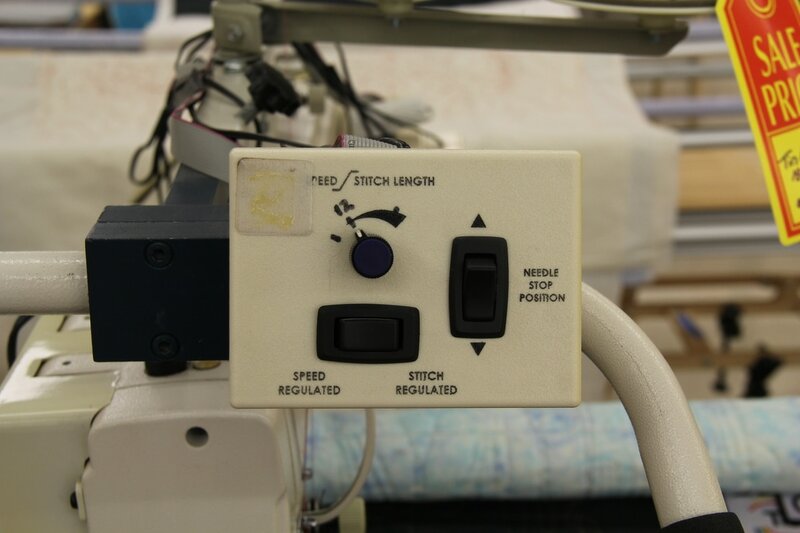 Click on the machine you would like to see. 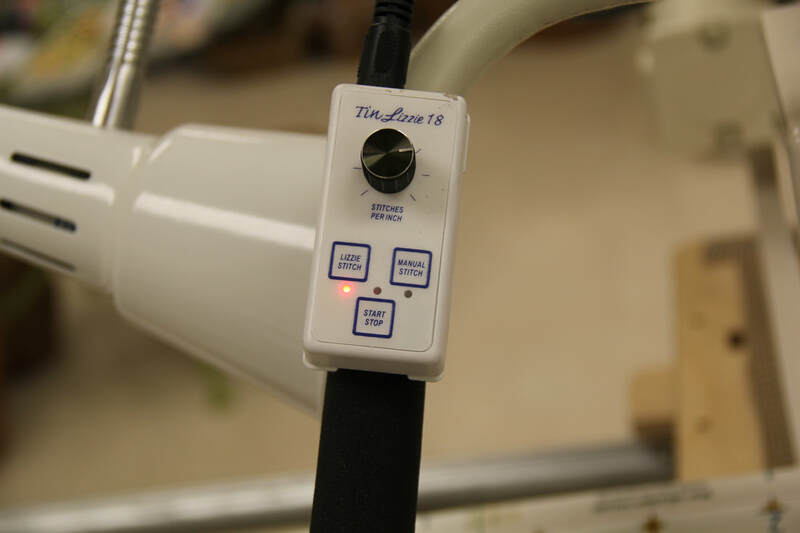 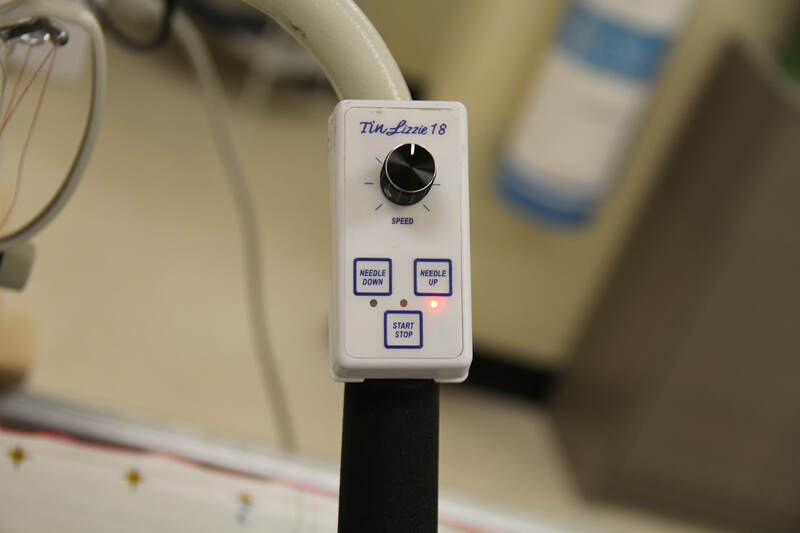 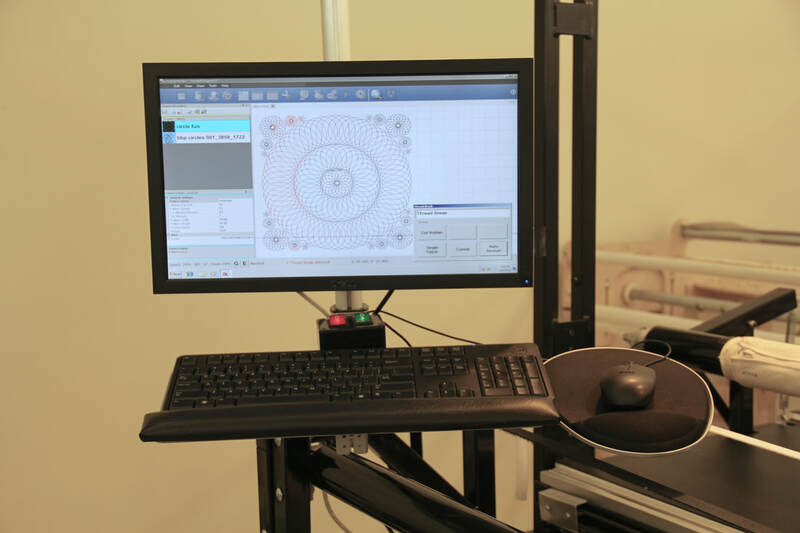 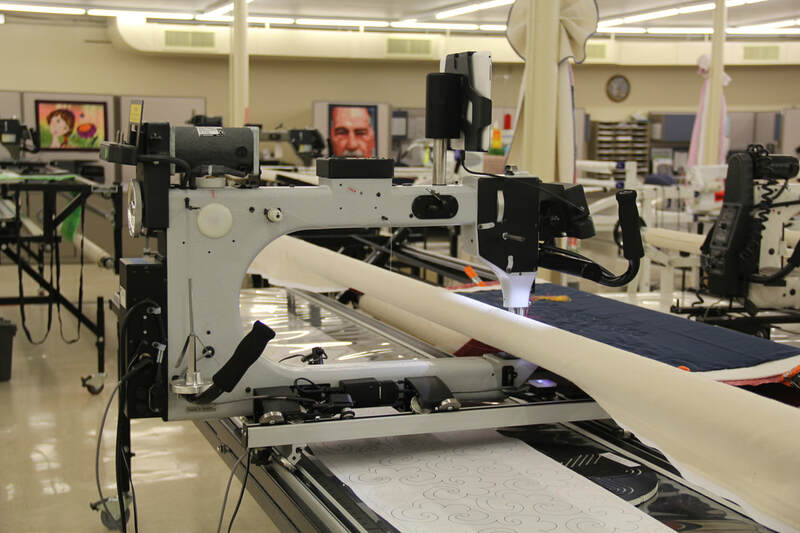 ​Watch videos, see pictures and read all about the features and accessories of each machine. 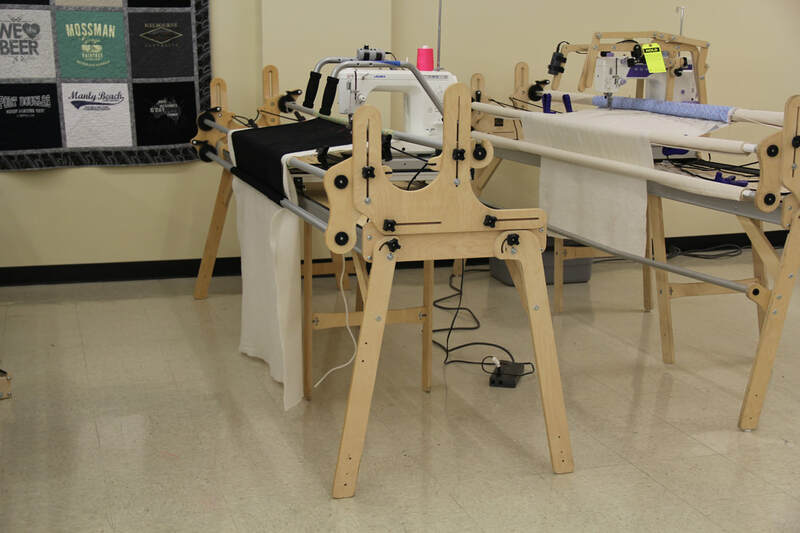 Tennessee 615-756-9556 and Indiana coming soon! 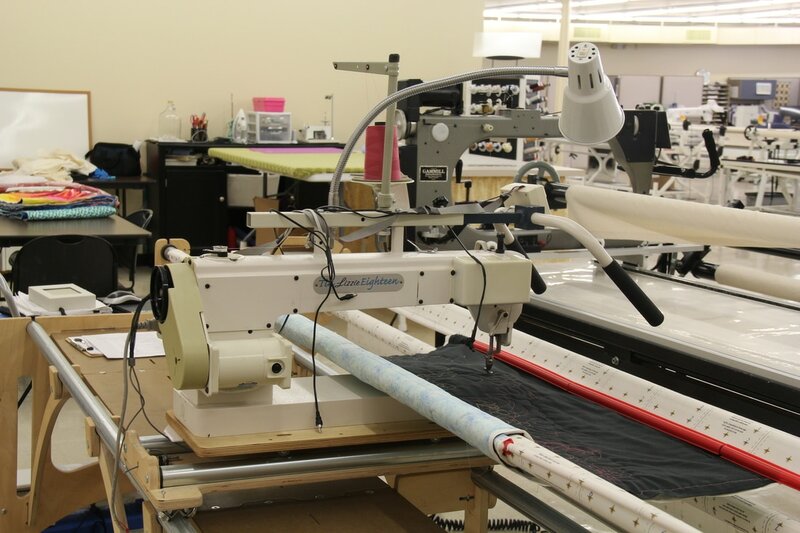 2008 Gammill Optimum with Statler Stitcher 30-12 on 14' table with poly stand top and zippered leaders. 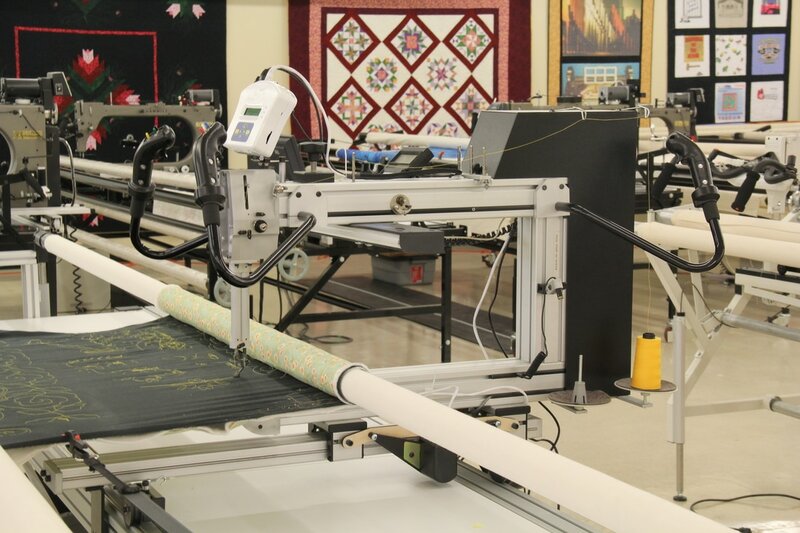 ​This pre-loved longarm quilting machine can be yours for $24,499. 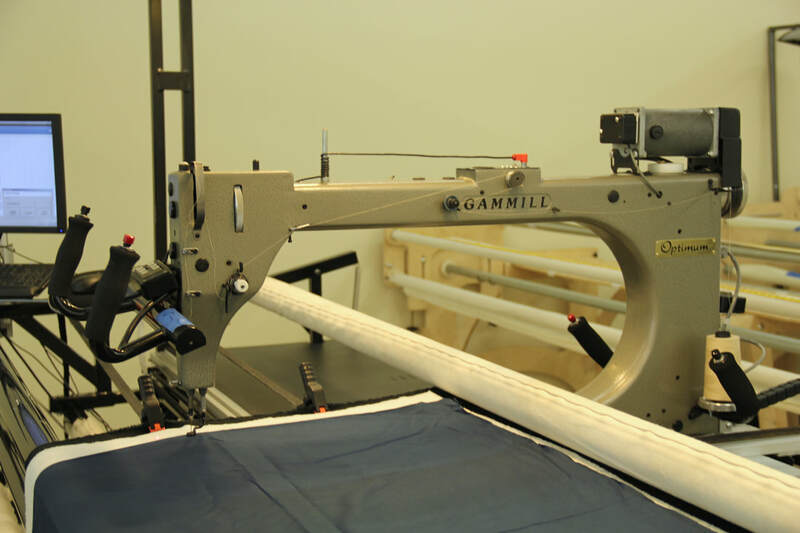 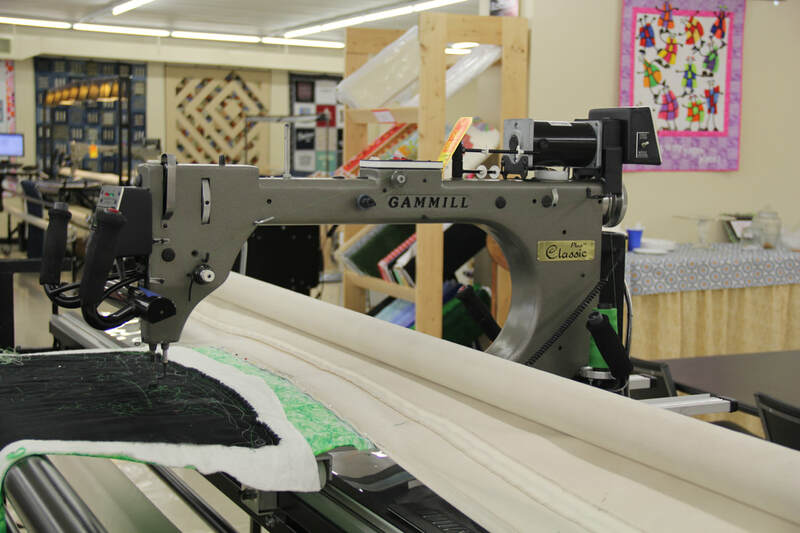 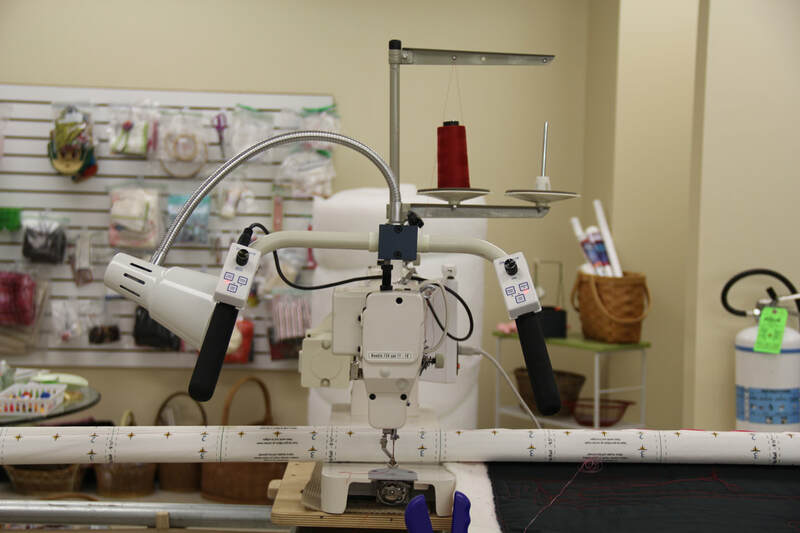 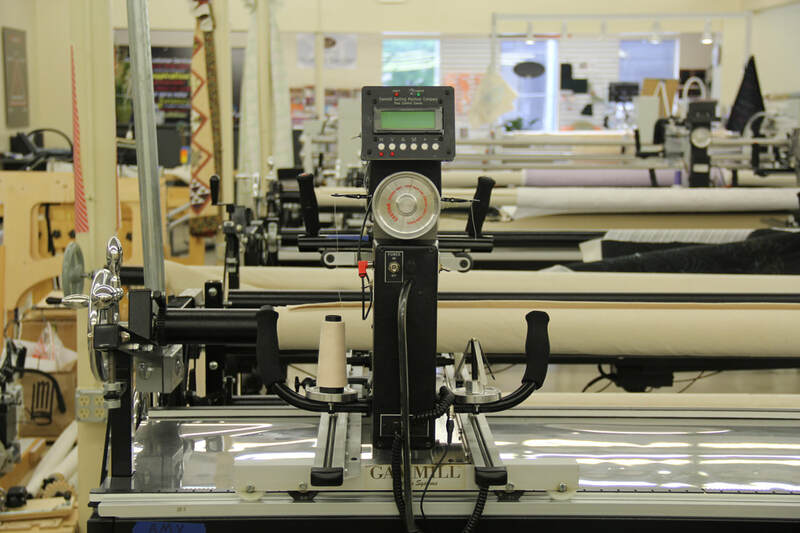 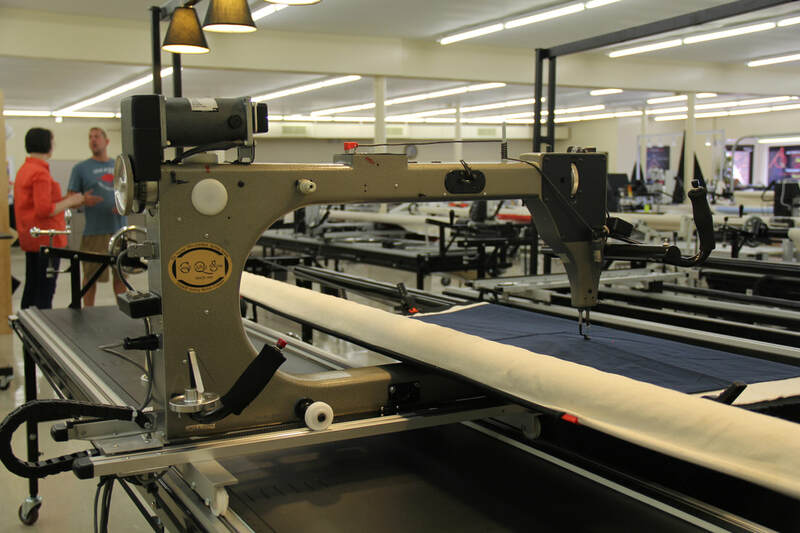 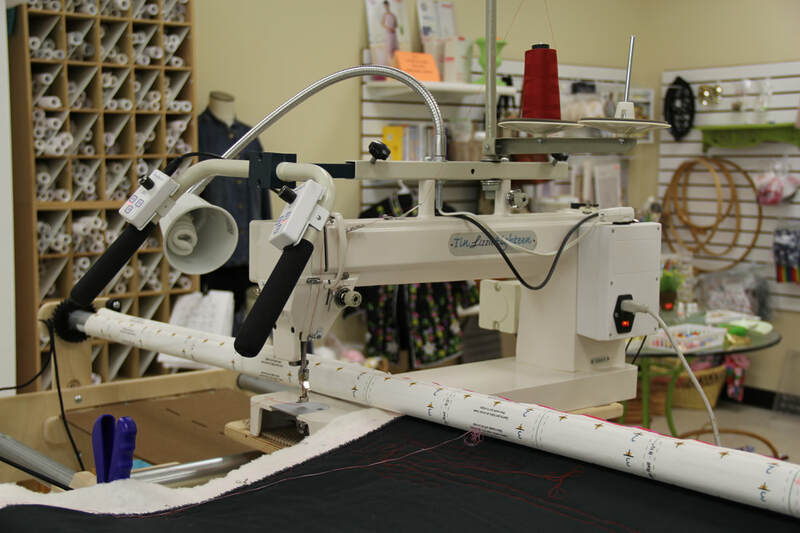 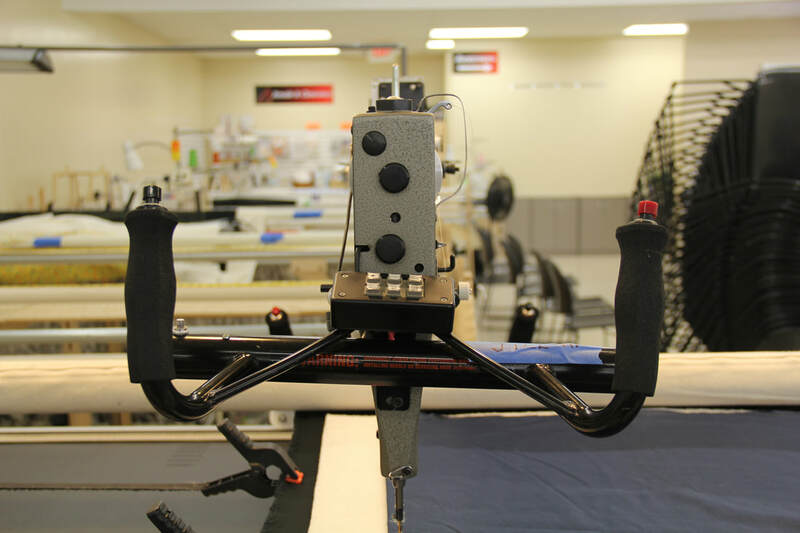 2002 Gammill Optimum with Statler Stitcher 30-12 on 14' frame with poly stand top and zippered leaders. 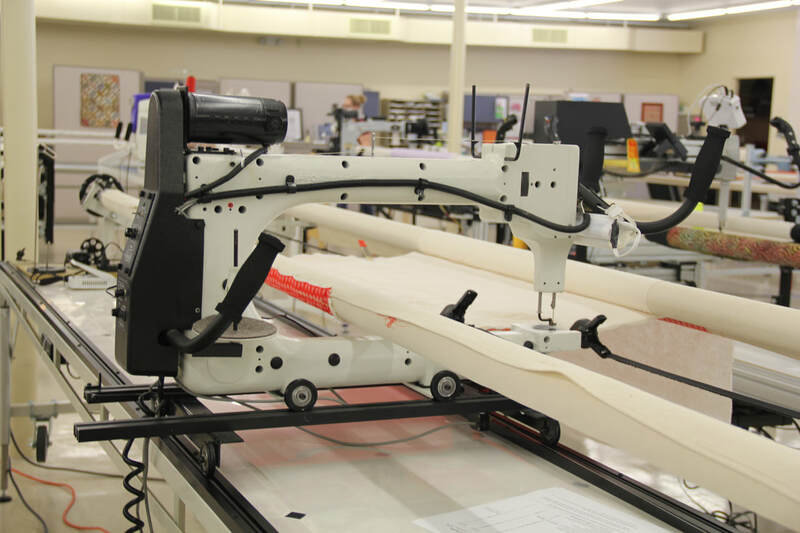 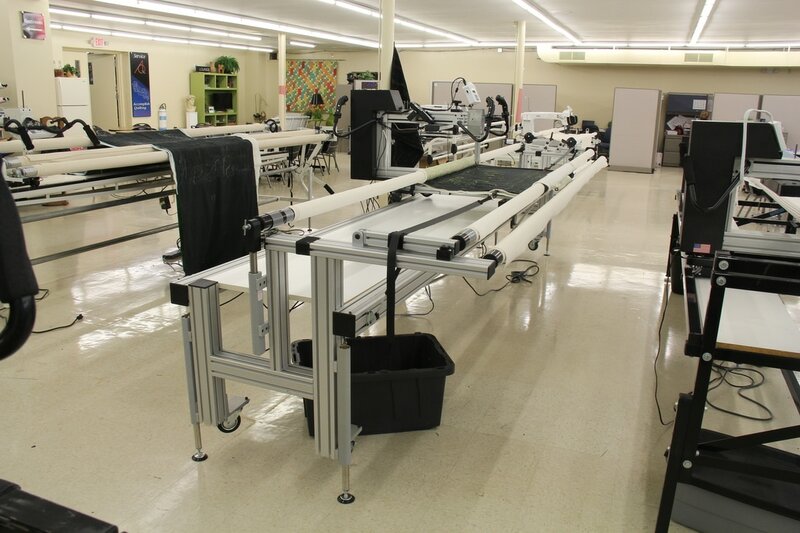 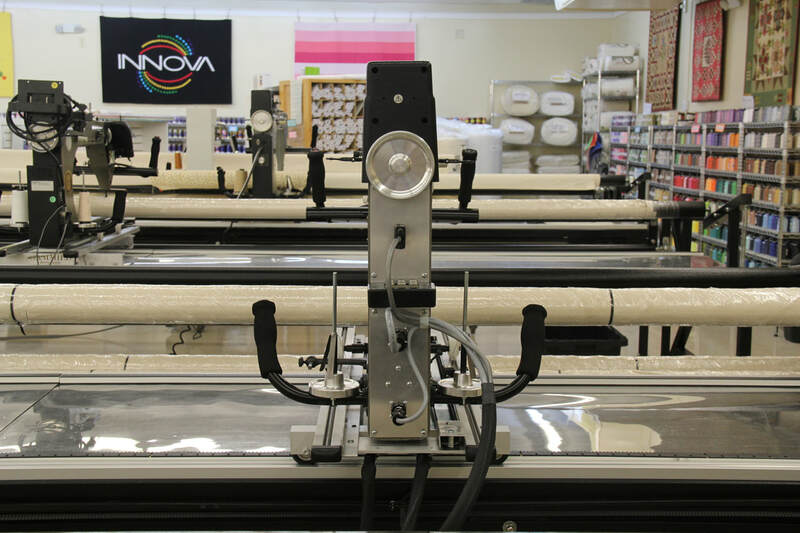 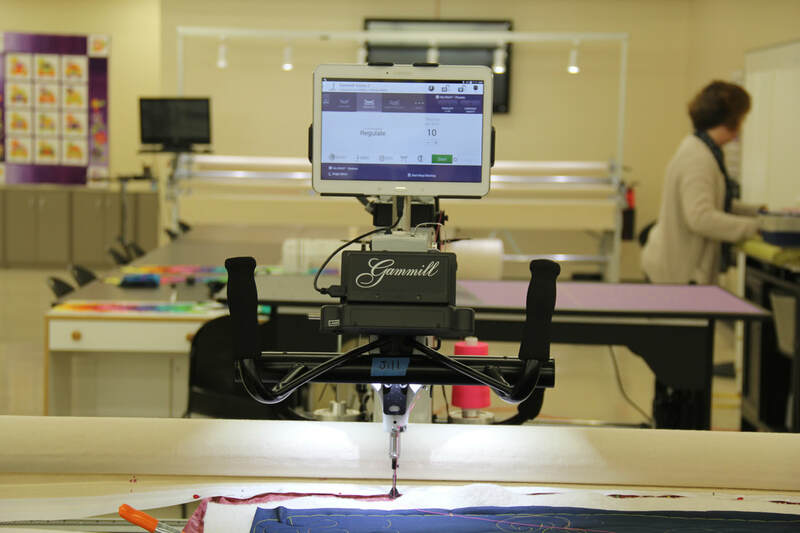 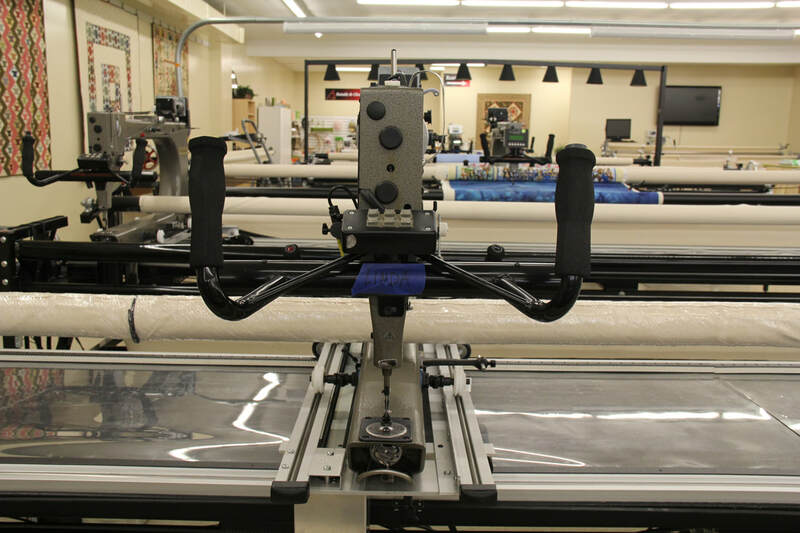 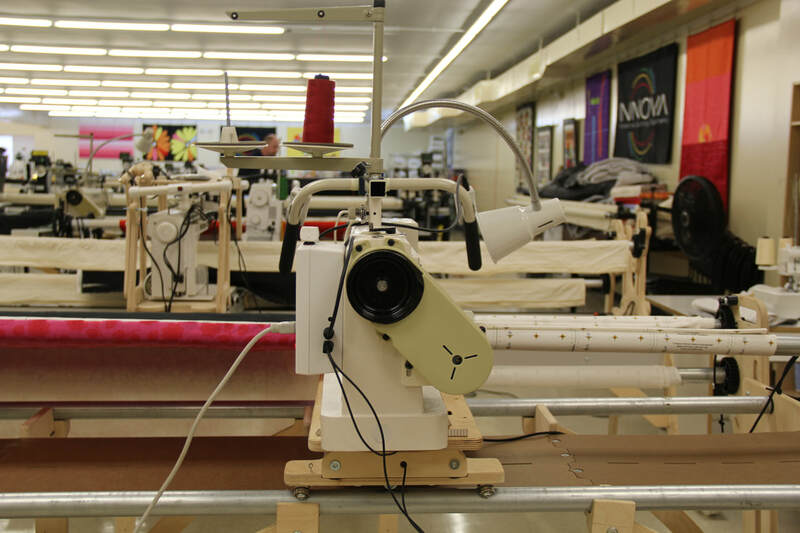 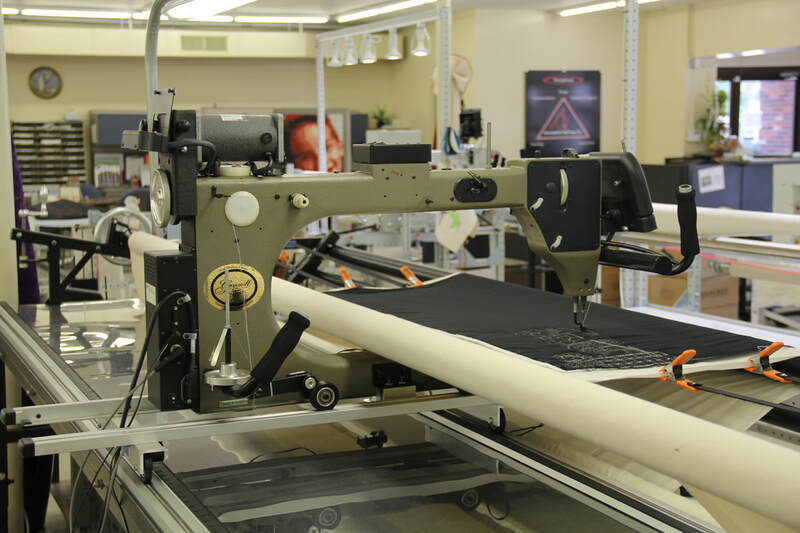 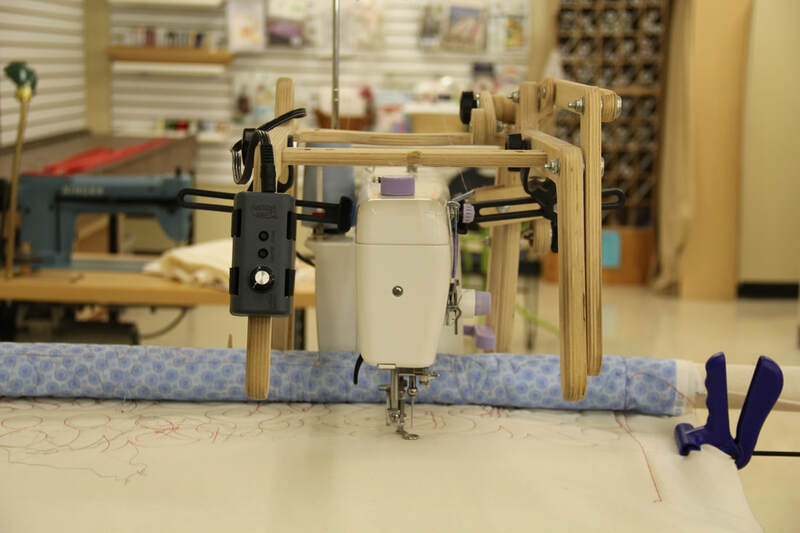 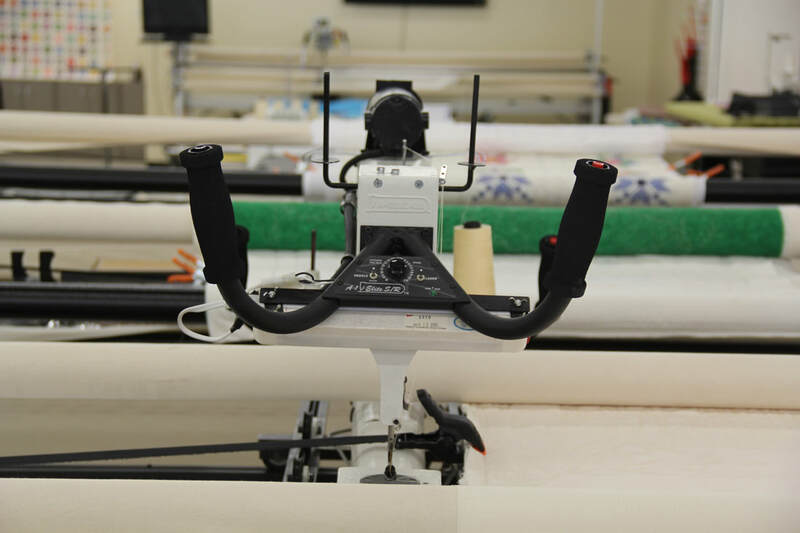 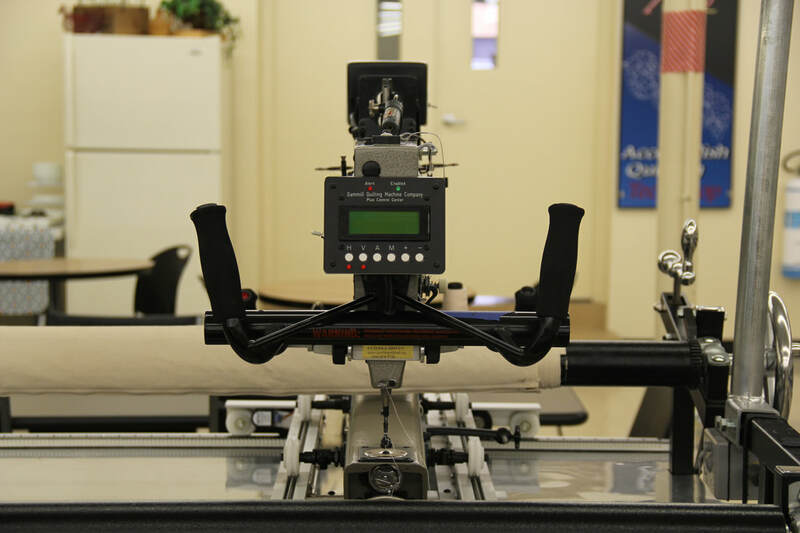 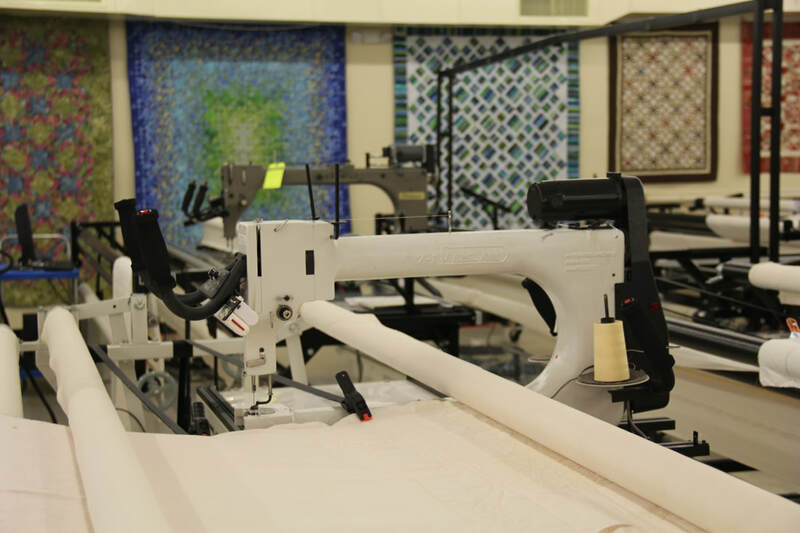 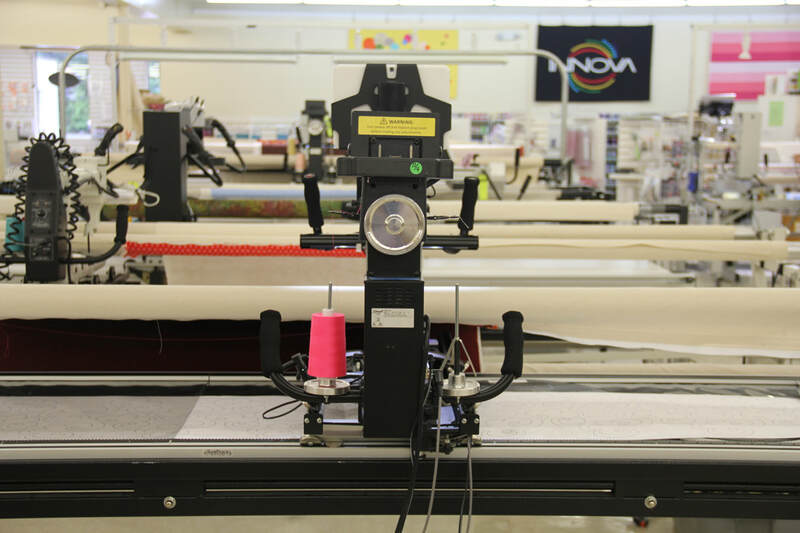 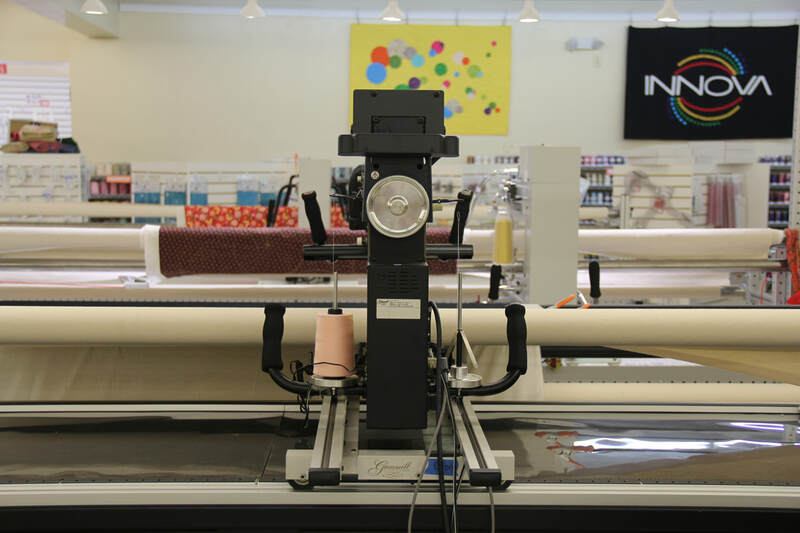 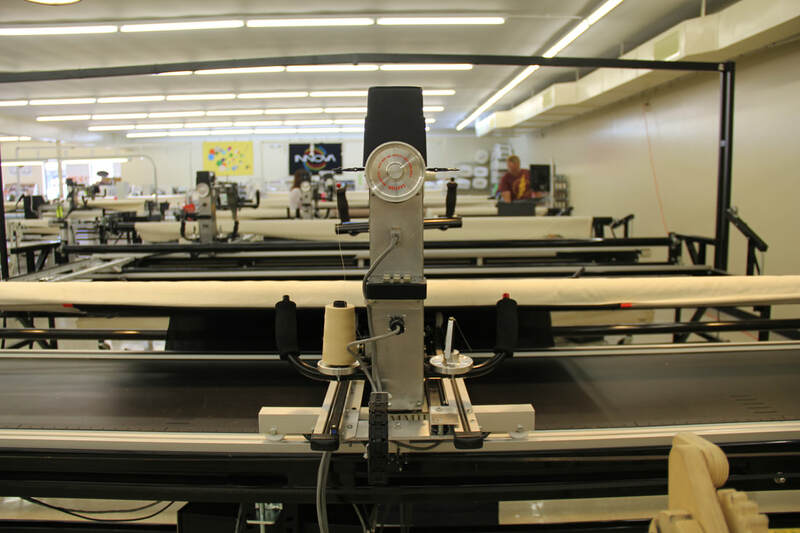 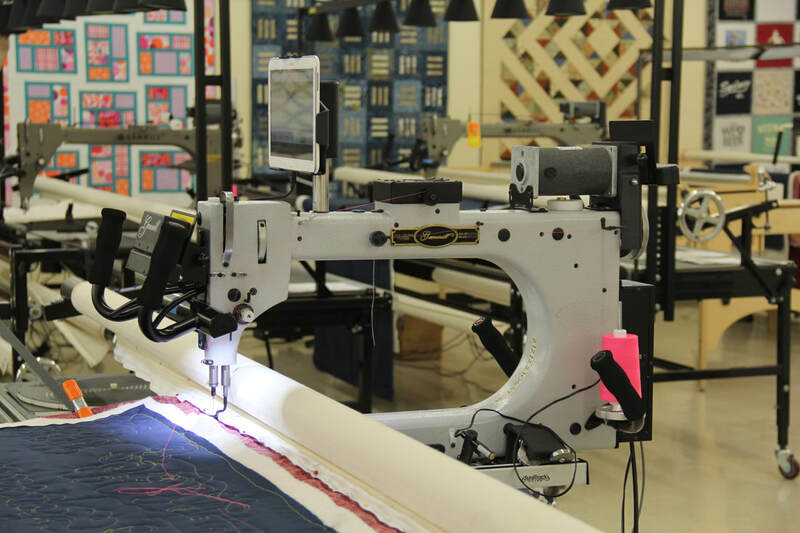 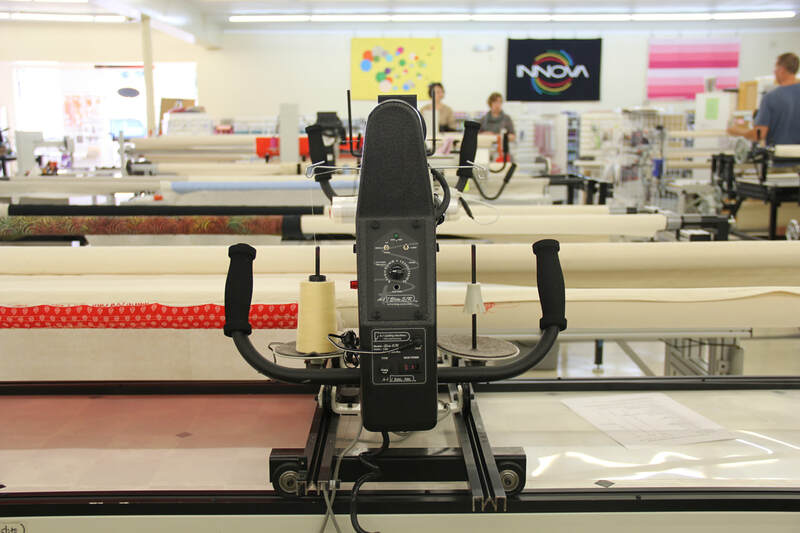 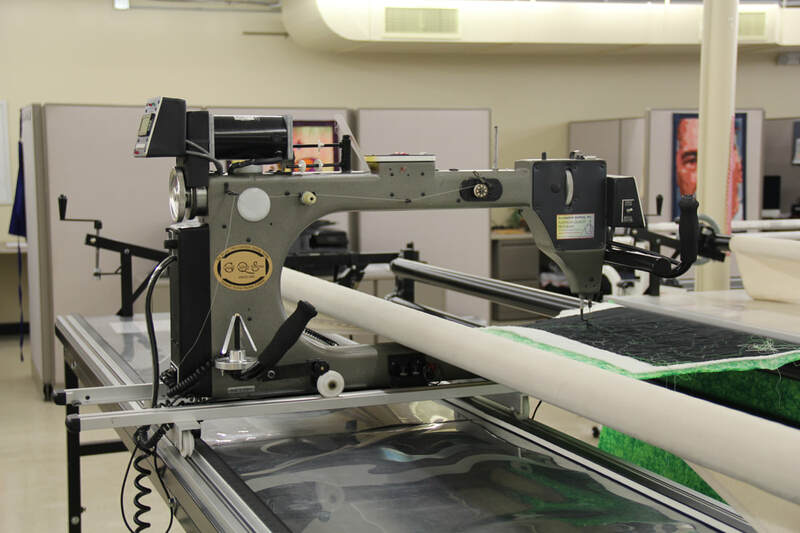 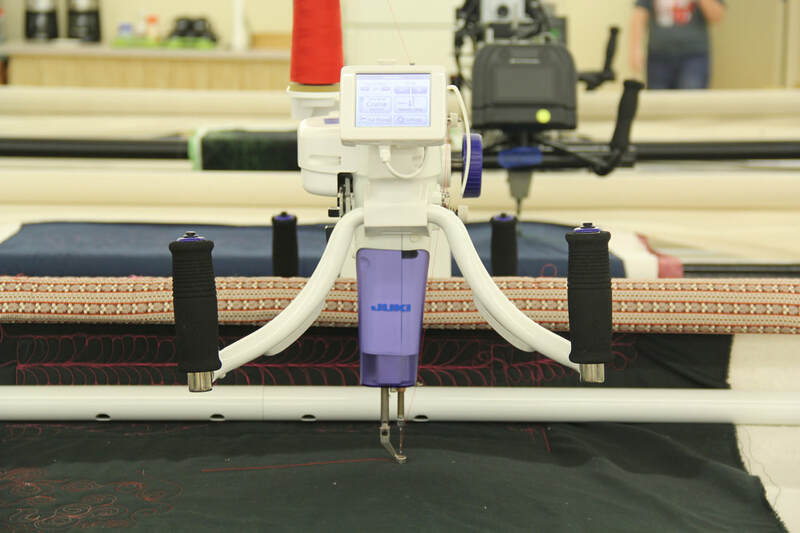 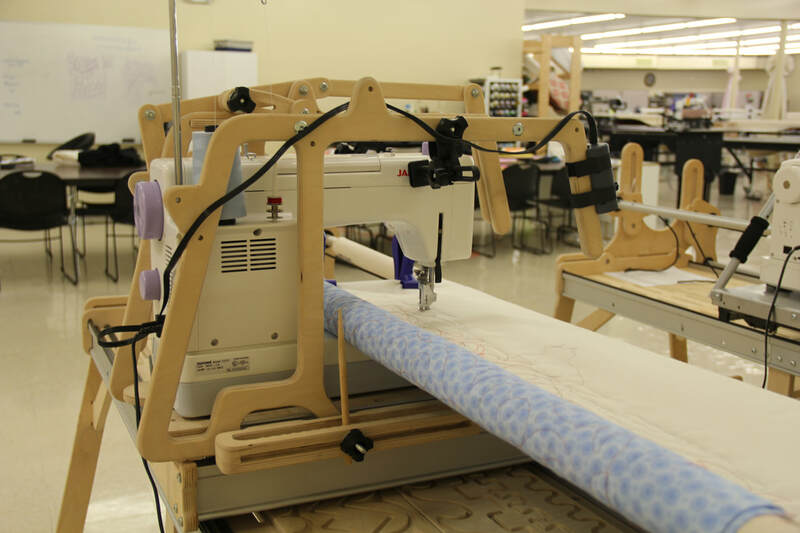 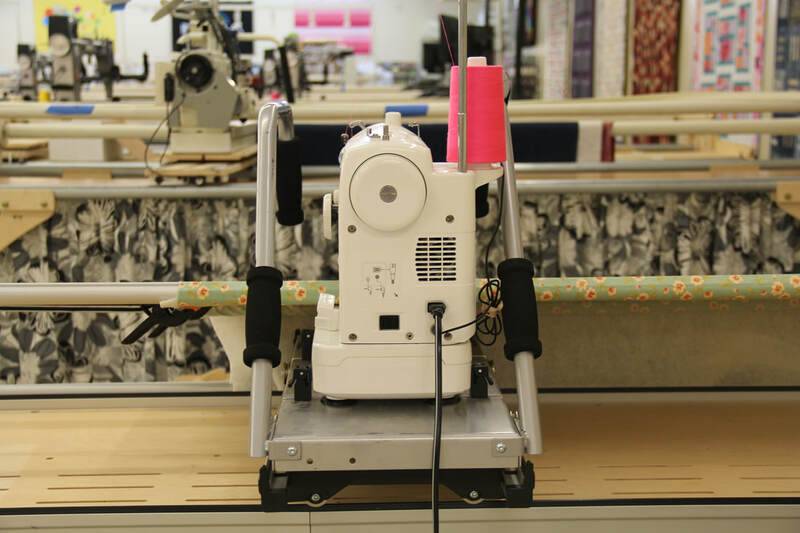 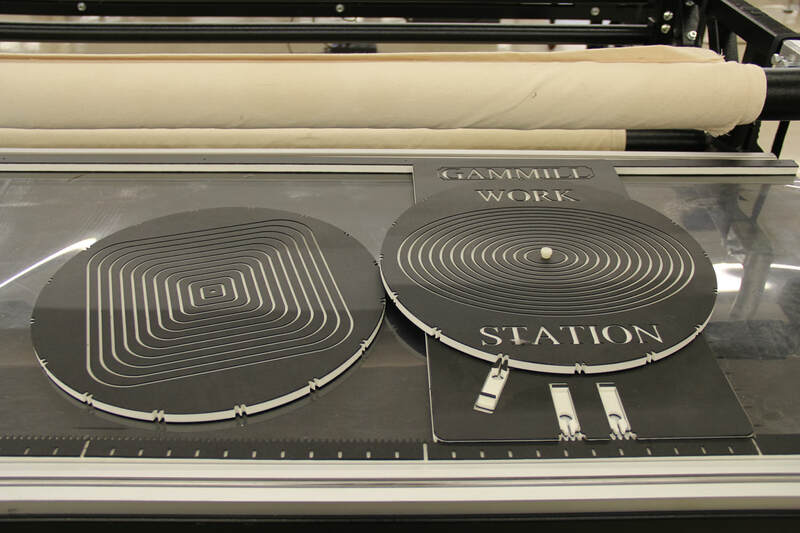 ​This pre-loved longarm quilting machine can be yours for $22,799. 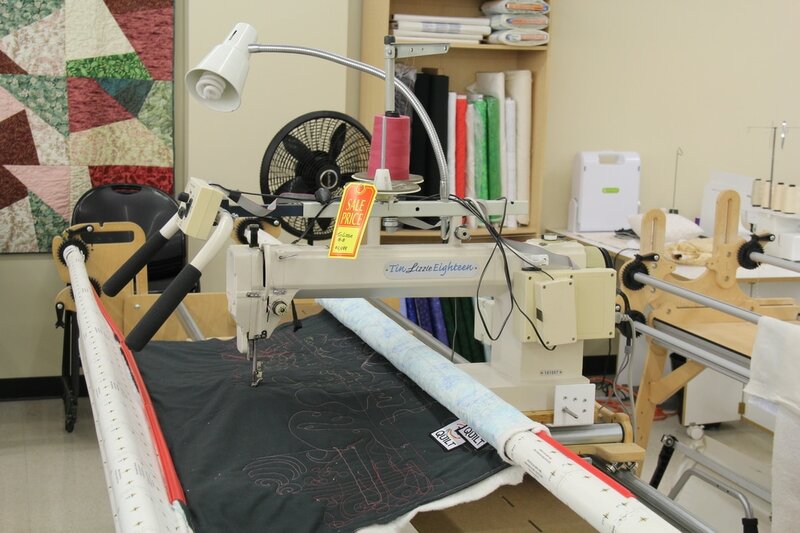 This machine was traded in for an INNOVA 22 Lightning Stitch. 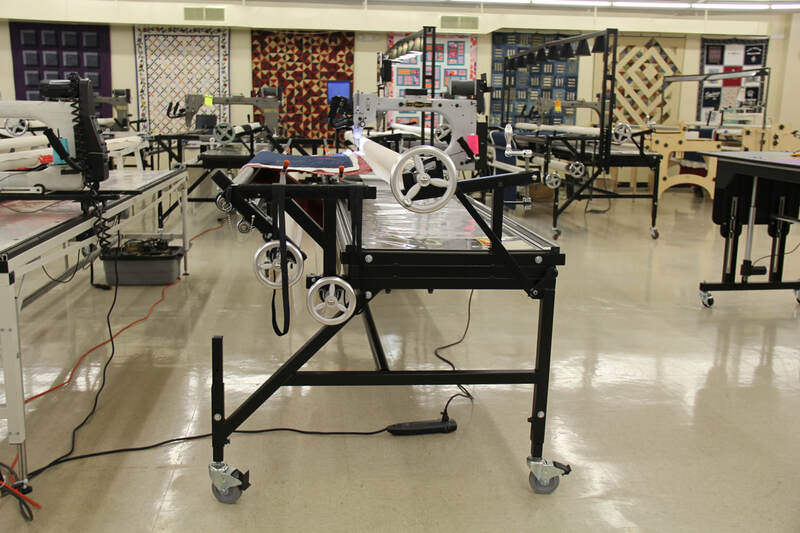 2003 Prodigy 24 on 14' frame with QBOT. 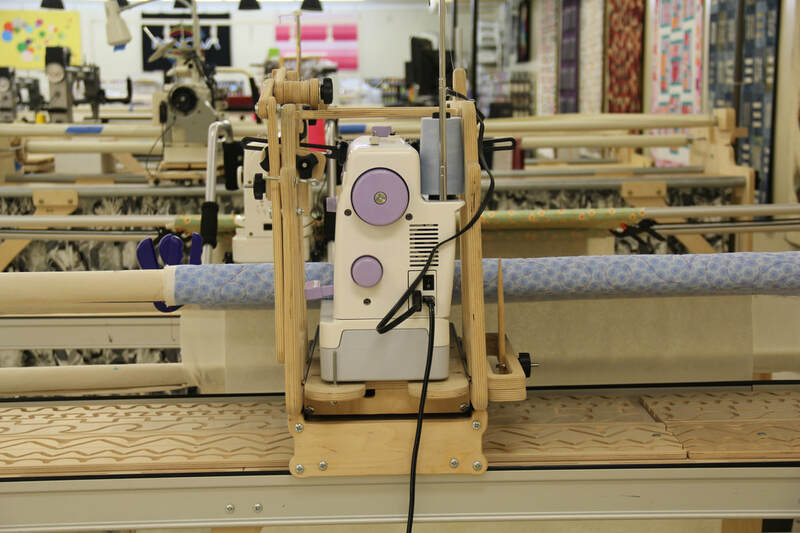 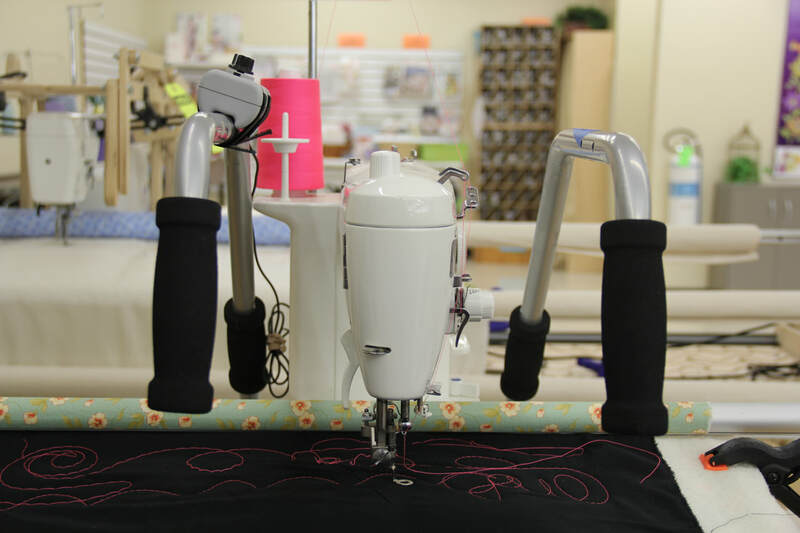 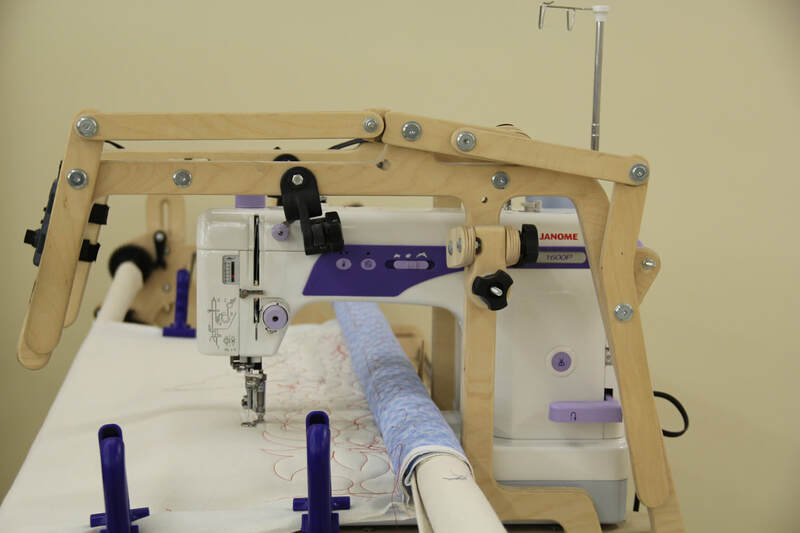 ​This pre-loved longarm quilting machine can be yours for $14,299. 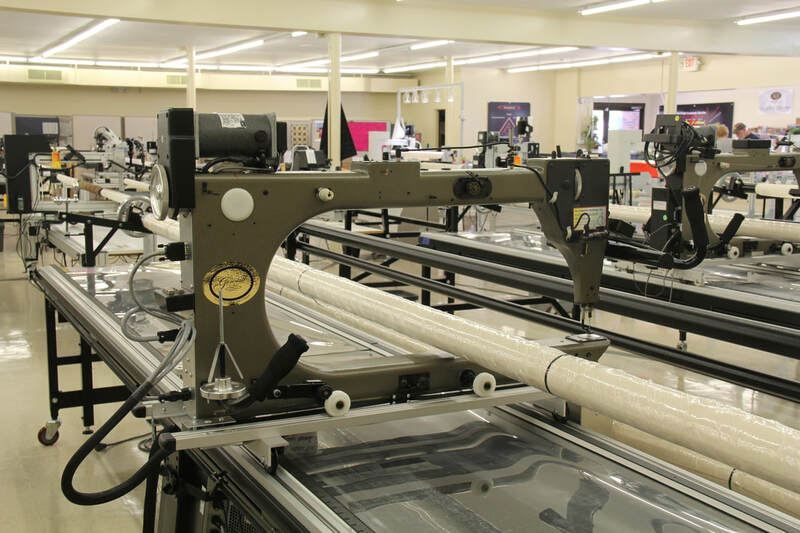 2013 Gammill Vision 2.0 22"
This machine was traded in for an INNOVA 26 Lightning Stitch with Pantovision. 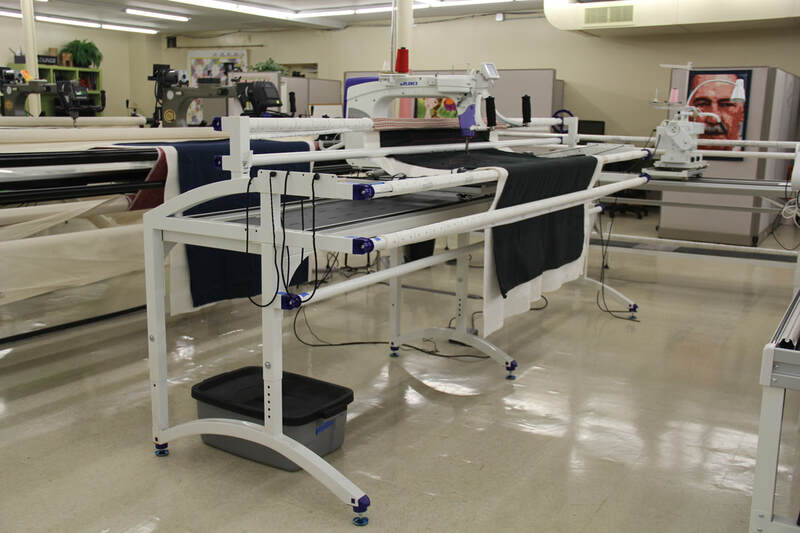 12' sit or stand pivotal access frame, fabric roller wheels, poly table top, ​ swivel casters, and Quick Zip System. 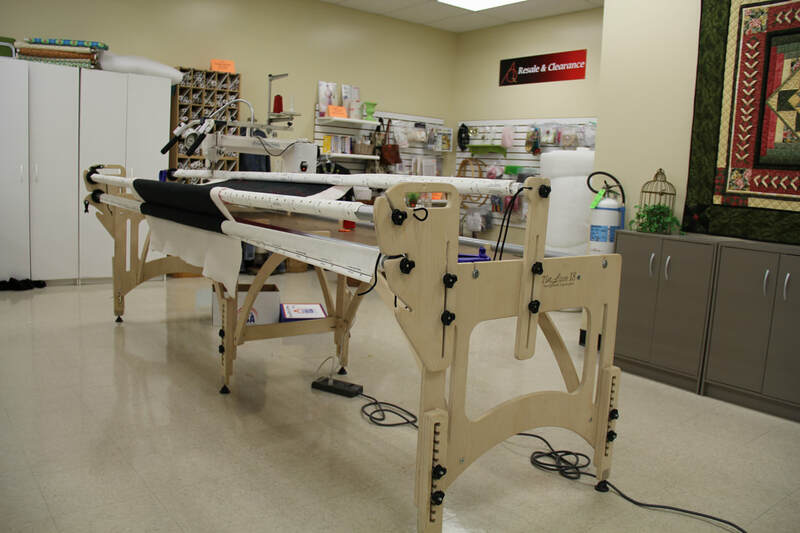 This pre-loved longarm quilting machine can be yours for $12,499. 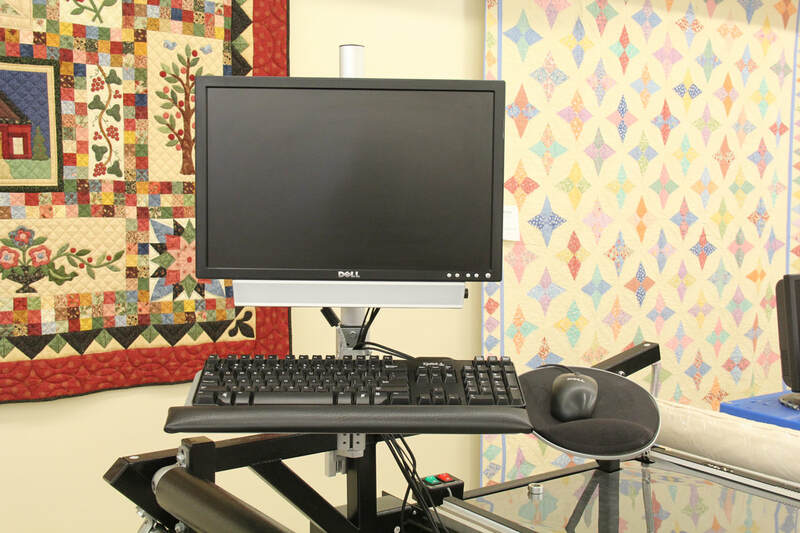 2002 Gammill Classic Plus 26-10 on 14' sit or stand frame with fabric roll wheels, swivel casters, and poly stand top. 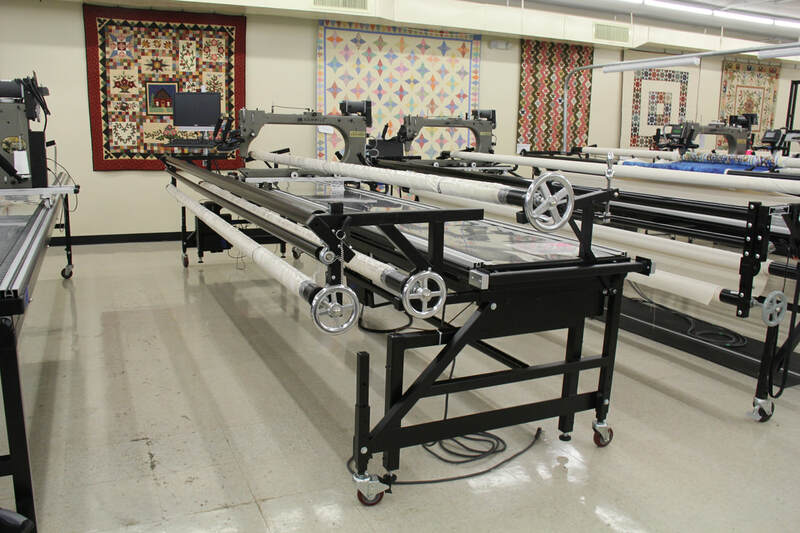 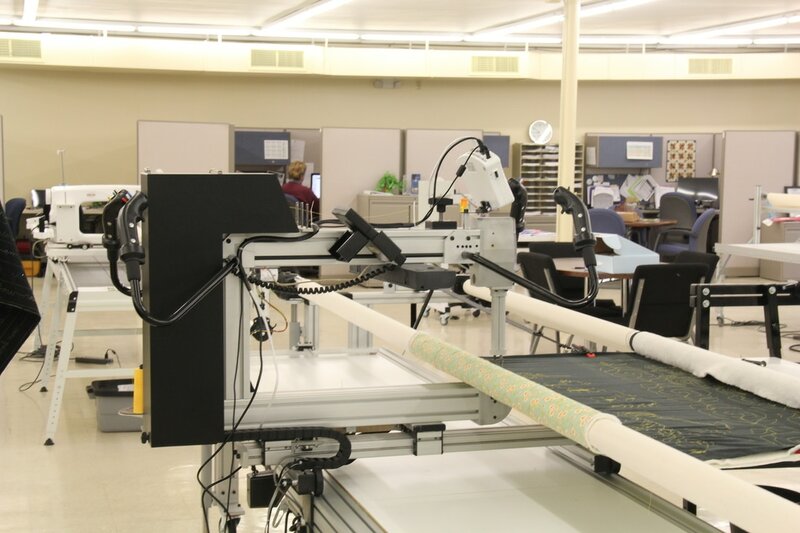 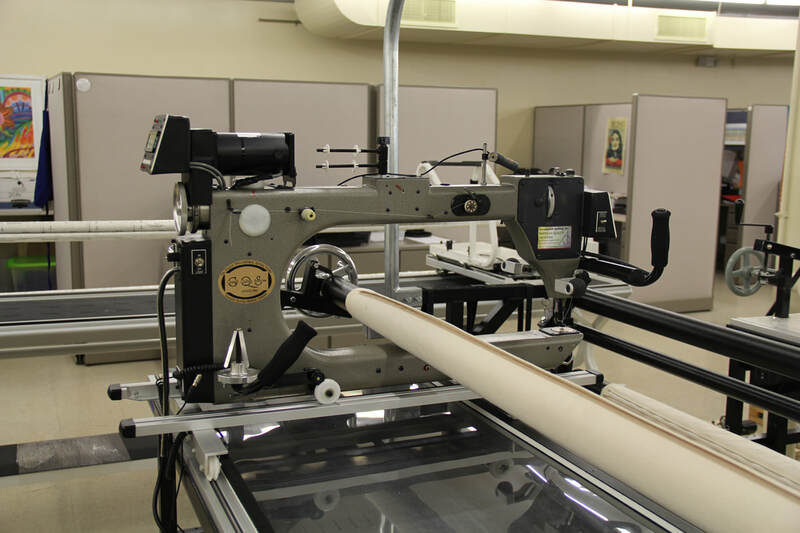 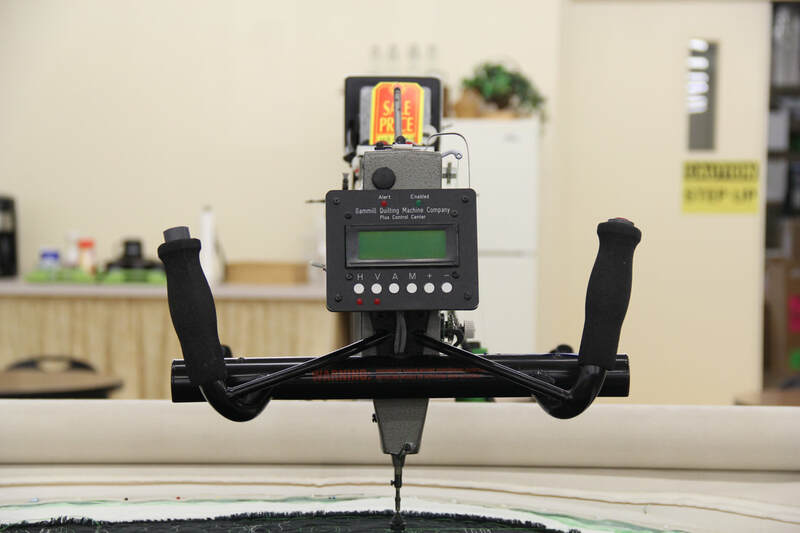 ​This pre-loved longarm quilting machine can be yours for $9,499. 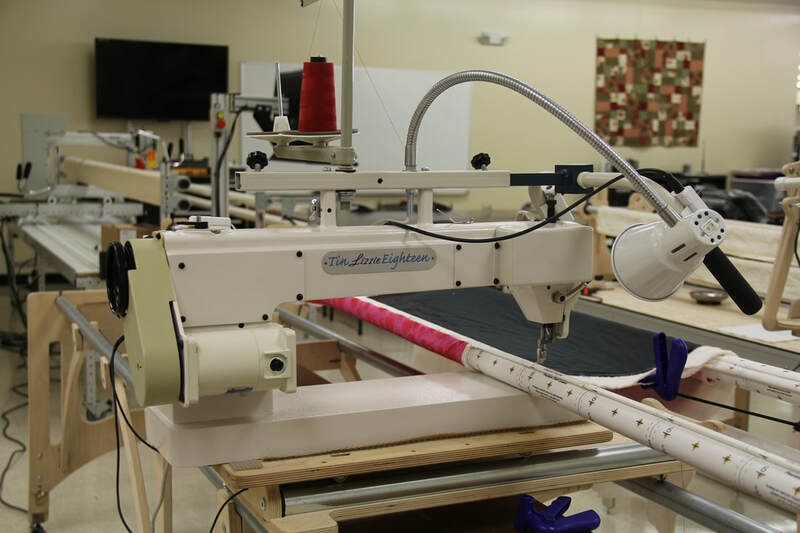 2003 A-1 Elite S/R on 12' frame with canvas leaders. 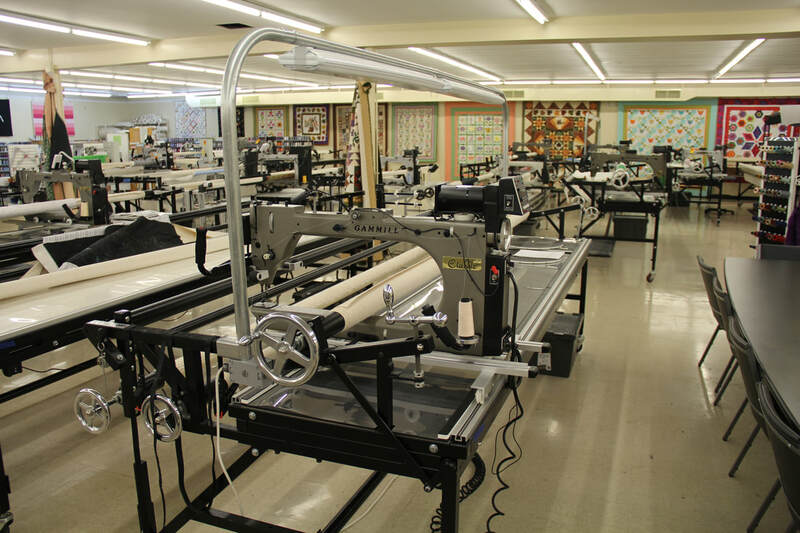 This pre-loved longarm quilting machine can be yours for $7,499. 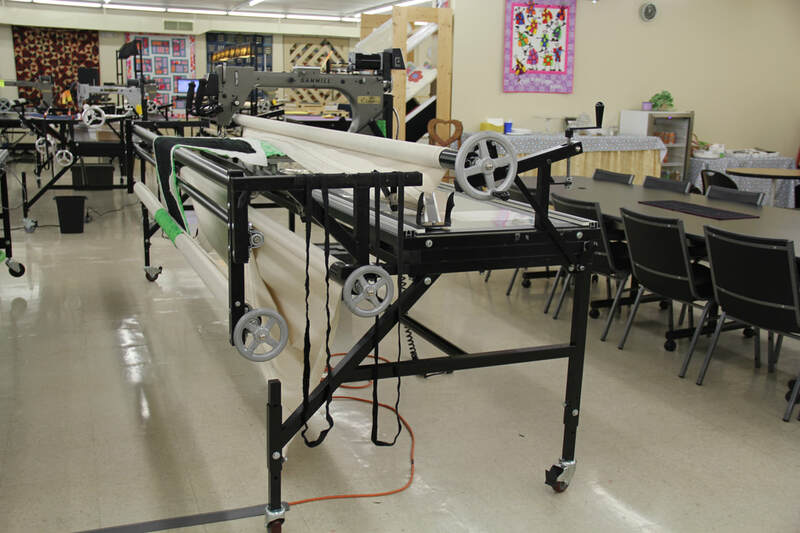 Tin Lizzie 18-8 with 10' Tin Lizzie wooden frame. 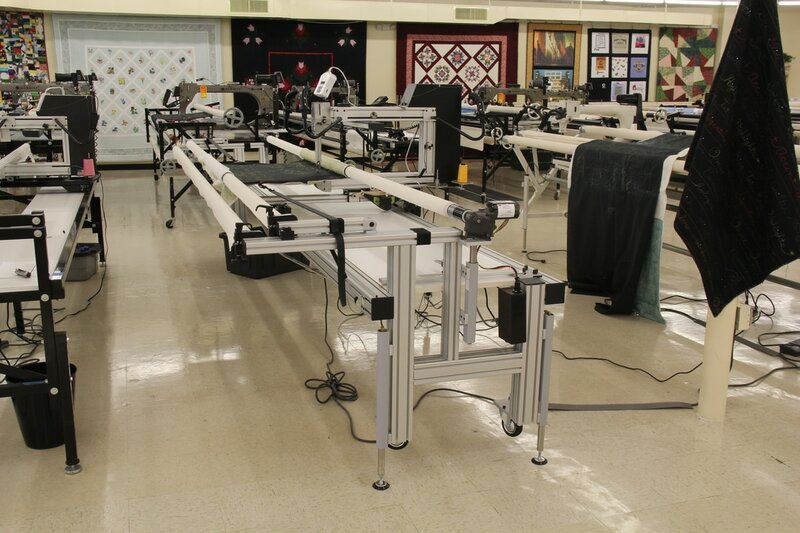 ​This pre-loved longarm quilting machine can be yours for $3,599. 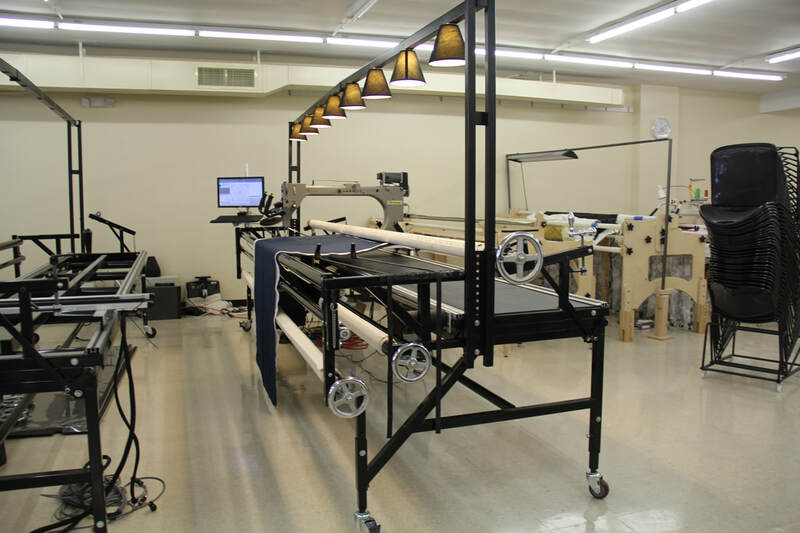 Tin Lizzie 18-8 on 10' Tin Lizzie wooden frame with cloth leaders. 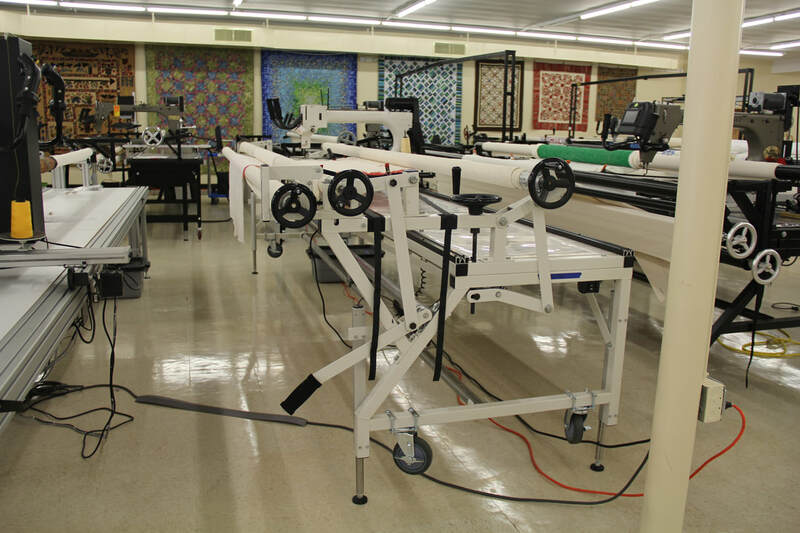 2010 Gammill Vision 2.0 26"
2010 Gammill Vision 2.0 26" on a 12' sit or stand frame with canvas leaders and swivel casters. 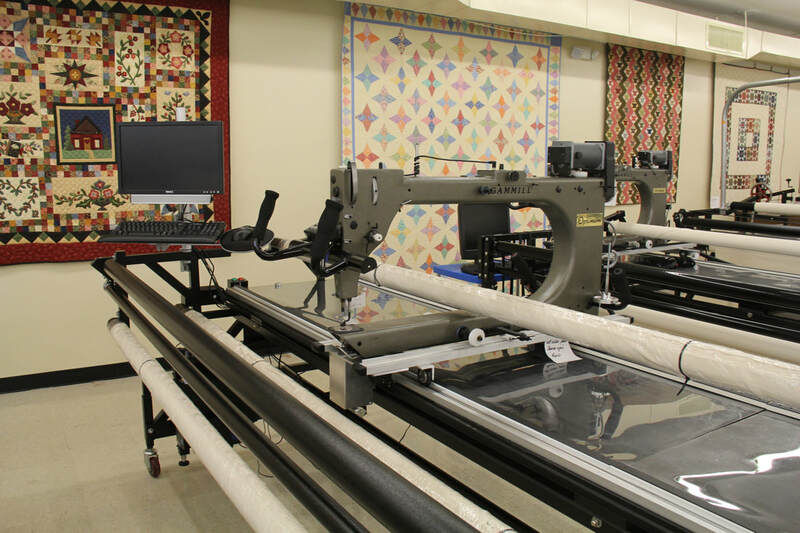 This pre-loved longarm quilting machine can be yours for $13,699. 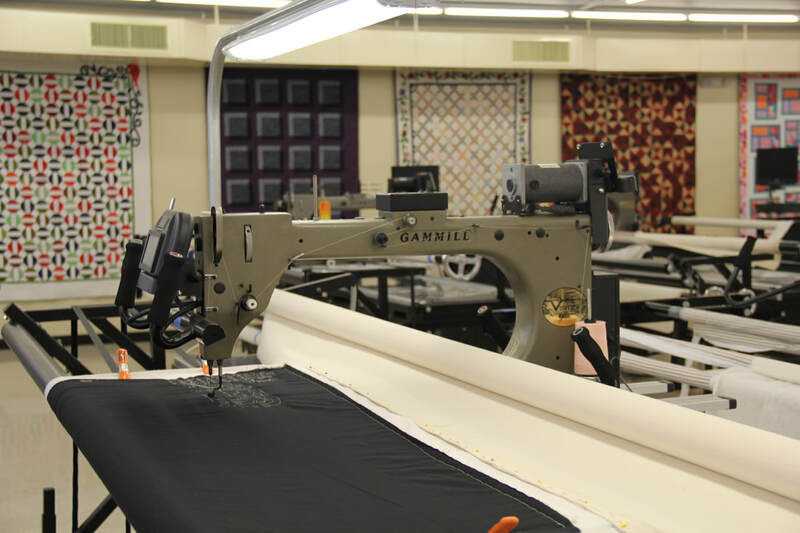 2003 Gammill Classic Plus 26 on 12' pivotal access frame with canvas leaders, swivel casters, and poly stand top. 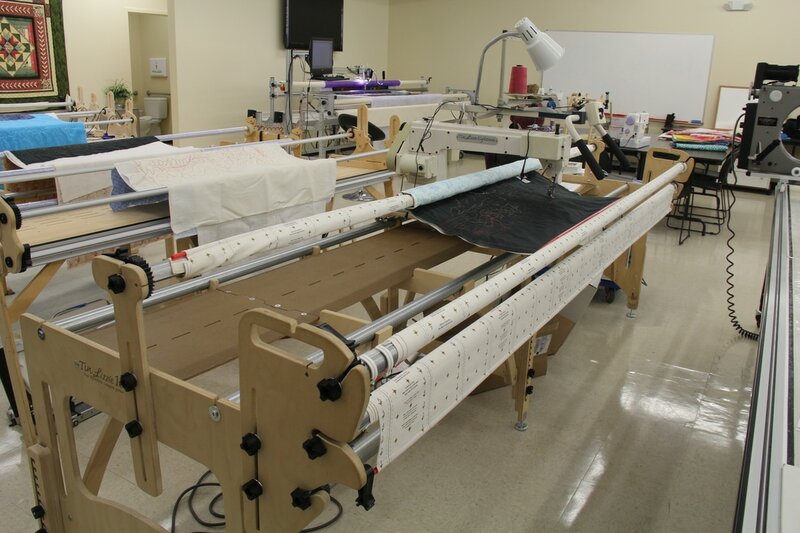 ​This pre-loved longarm quilting machine can be yours for $9,999. 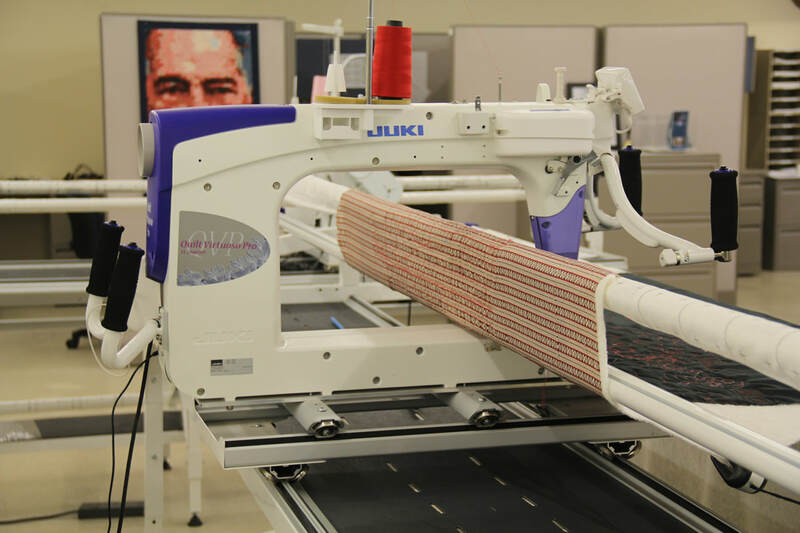 2014 Juki TL-2200 Quilt Virtuoso Pro 18" on 10' Grace Virtuoso frame with cloth leaders. 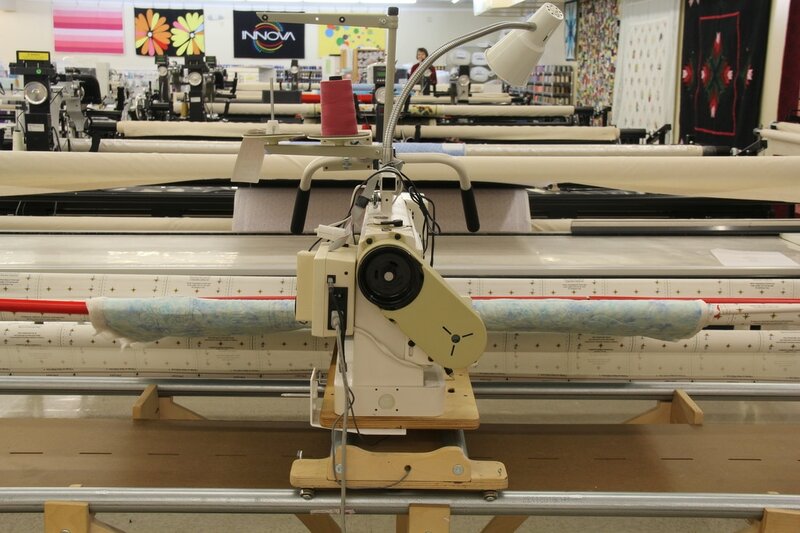 This pre-loved longarm quilting machine can be yours for $8,999. 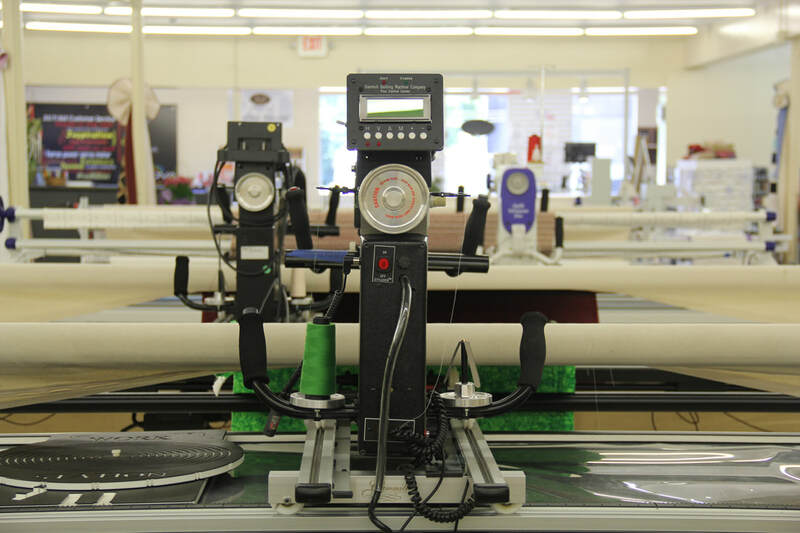 This machine was traded in for an INNOVA 26 Standard Stitch. 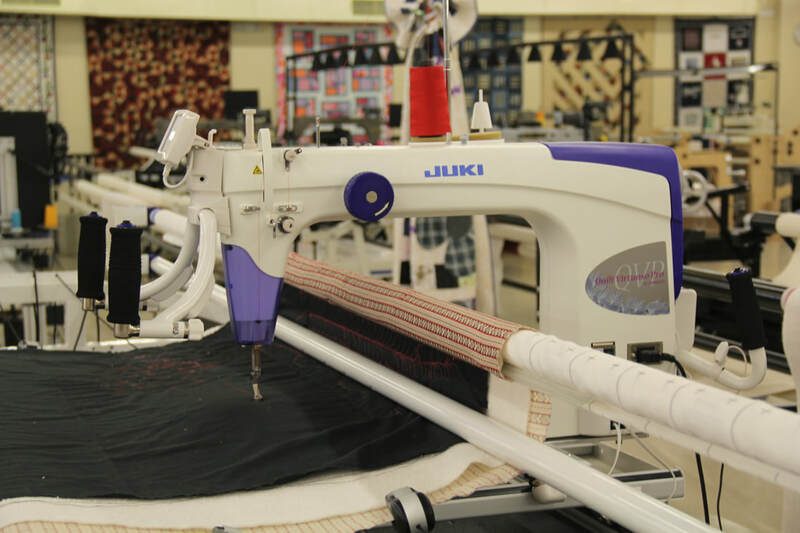 Juki TL-98Q on 8' Little Gracie II wooden frame. 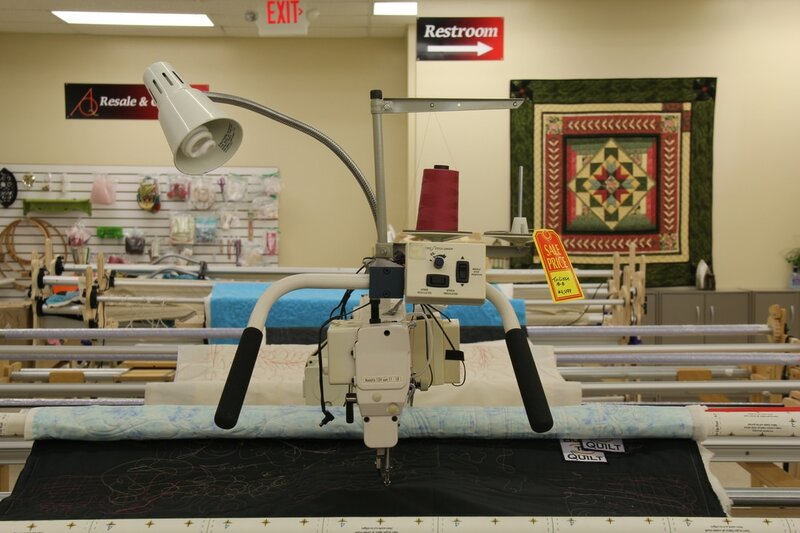 ​This pre-loved longarm quilting machine can be yours for $1,399. 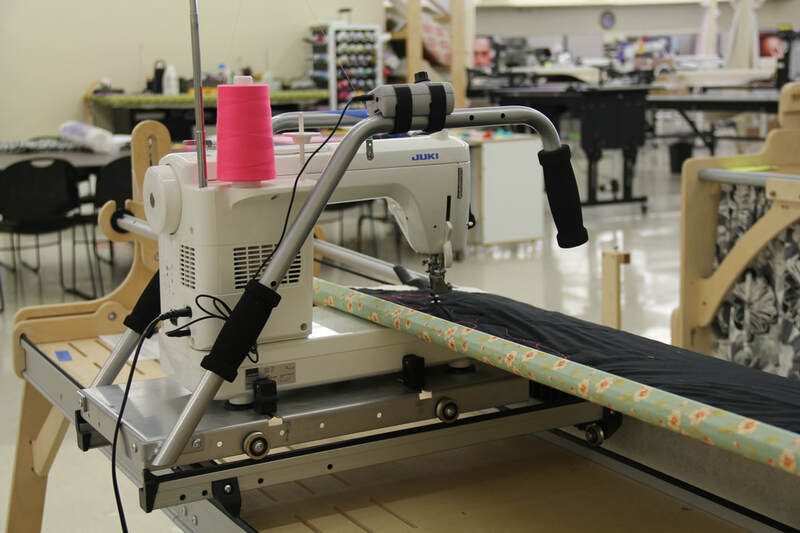 Janome 1600P on 8' Little Gracie II wooden frame with canvas leaders and Pattern Perfect set. 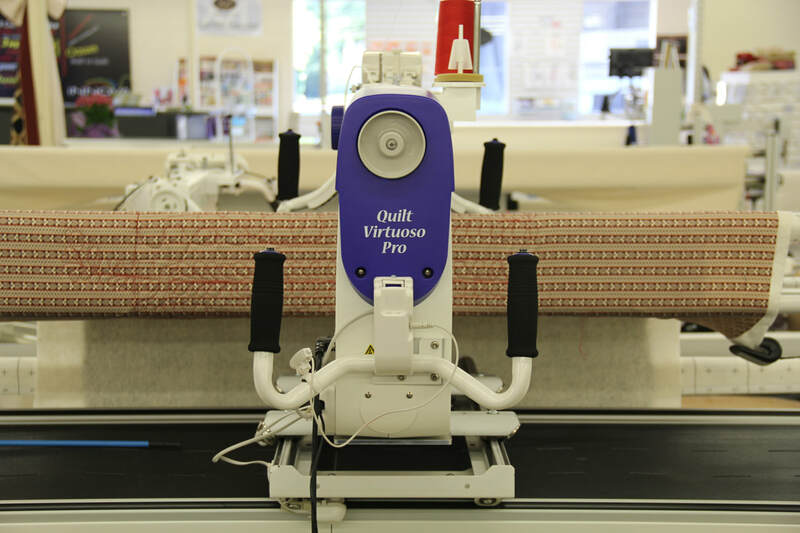 ​​This pre-loved longarm quilting machine can be yours for $1,399. 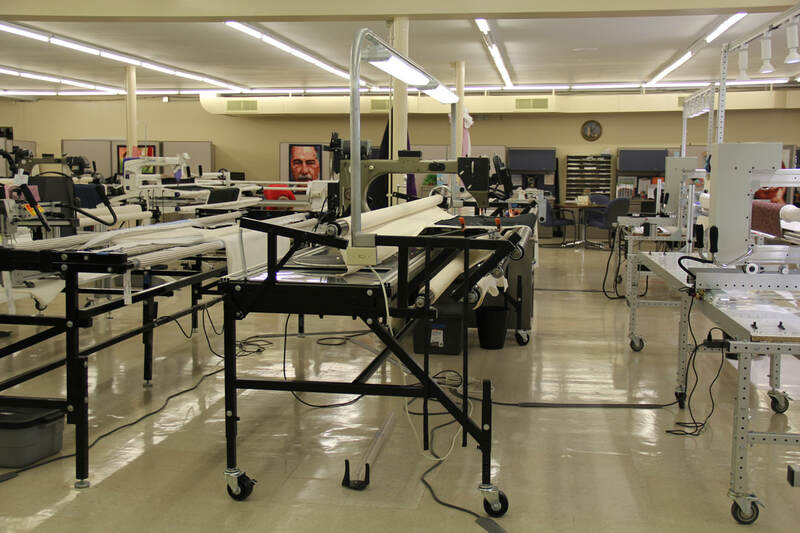 Do you see a machine that you think would fit your needs? 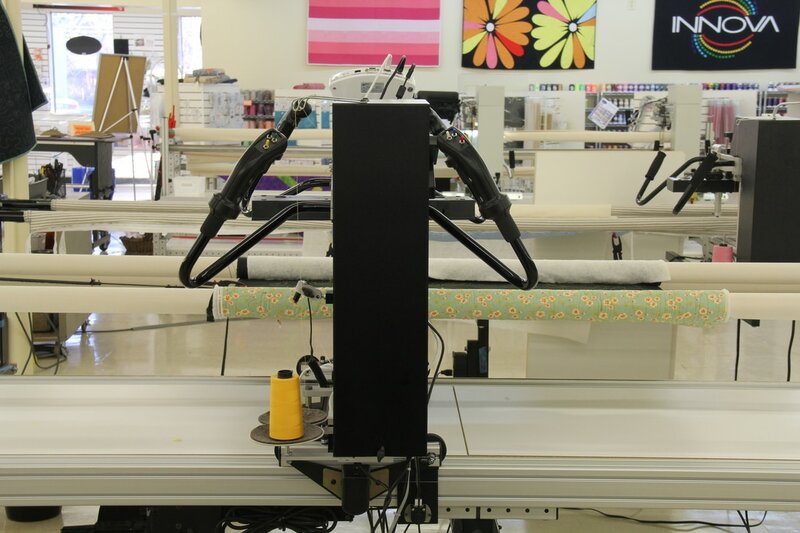 Make sure to call the store and speak to one of sales staff. 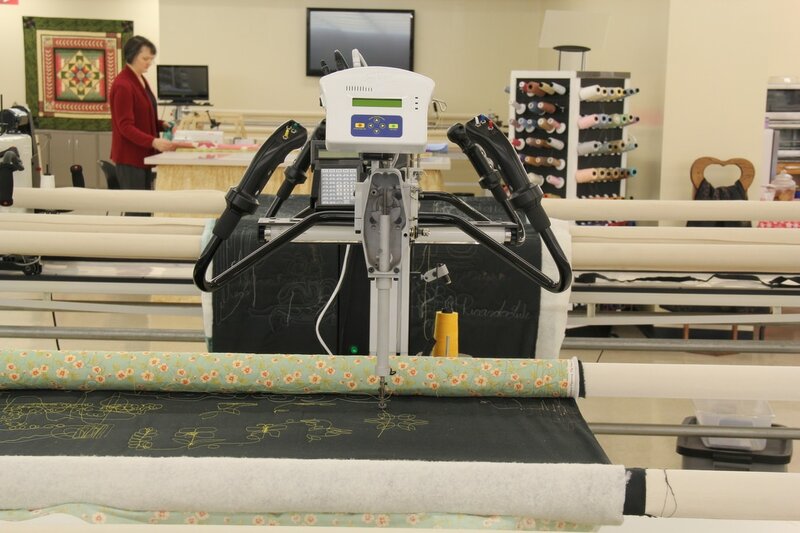 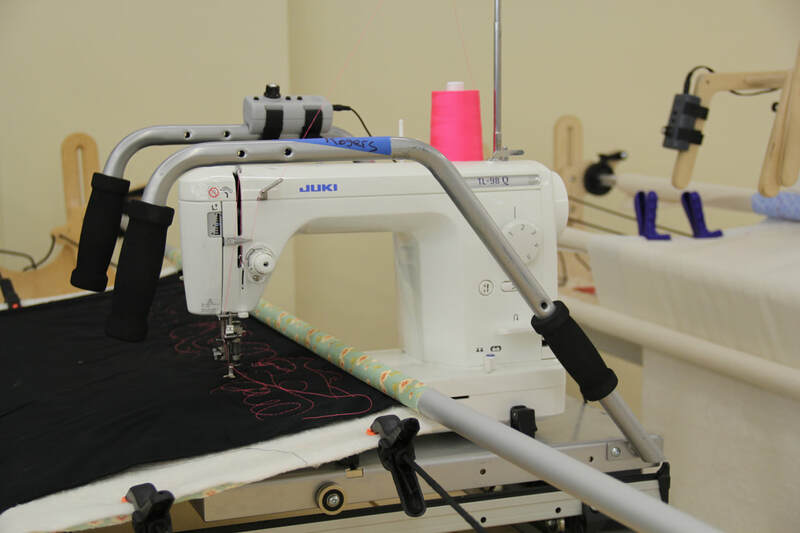 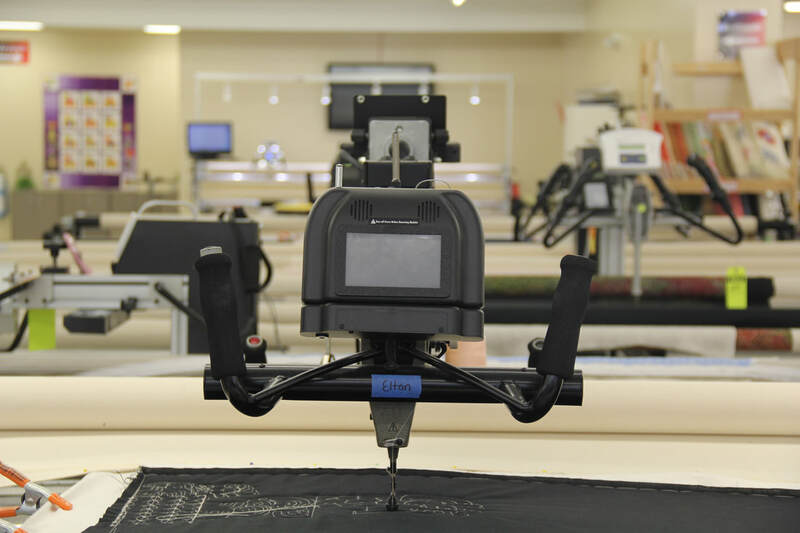 Each sales person is a master quilter and will be able to work with you to make sure that you get your dream machine.